Jenny Linford food writer | October 2017 sees the publication of Mushrooms, my latest single ingredient cookbook for Ryland, Peters and Small. 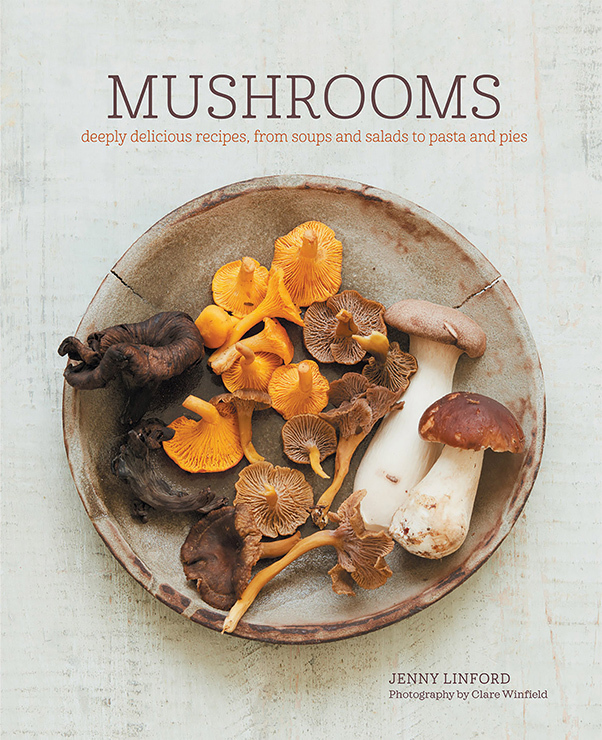 Mushrooms features 65 fungi-centric recipes from around the world, ranging from Thai Mushroom Soup and Champinones al Ajillo to Truffled Roast Chicken and Umami Steaks with Wild Mushrooms. October 2017 sees the publication of Mushrooms, my latest single ingredient cookbook for Ryland, Peters and Small.